'College' is a word that means many things to many people: a space for knowledge, a place to gain lifelong friends, and an opportunity to transcend one's socioeconomic station. Today, though, this word also recalls a slew of headlines that have revealed a dark and persistent world of racial politics on campus. 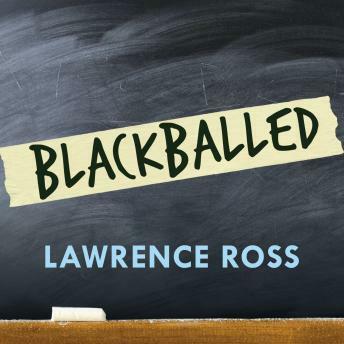 From Lawrence Ross, author of The Divine Nine, Blackballed is an explosive and controversial book that rips the veil off America's hidden secret: America's colleges have fostered a racist environment that makes them a hostile space for African American students. Blackballed exposes the white fraternity and sorority system, with traditions of racist parties, songs, and assaults on black students; and the universities themselves, who name campus buildings after racist men and women. It also takes a deep dive into anti-affirmative action policies, and how they effectively segregate predominately white universities, providing ample room for white privilege. A bold mix of history and the current climate, Blackballed is a call to action for universities to make radical changes to their policies and standards to foster a better legacy for all students.